Wow! Something interesting happened today! I was sure Starbucks learned his lesson after those issues with recalling some YAHs: Wisconsin v1 and Epcot v1 (not to forget non-accent Quebec v1 and Montreal v1) and releasing a second, fixed version. But no, I was wrong. 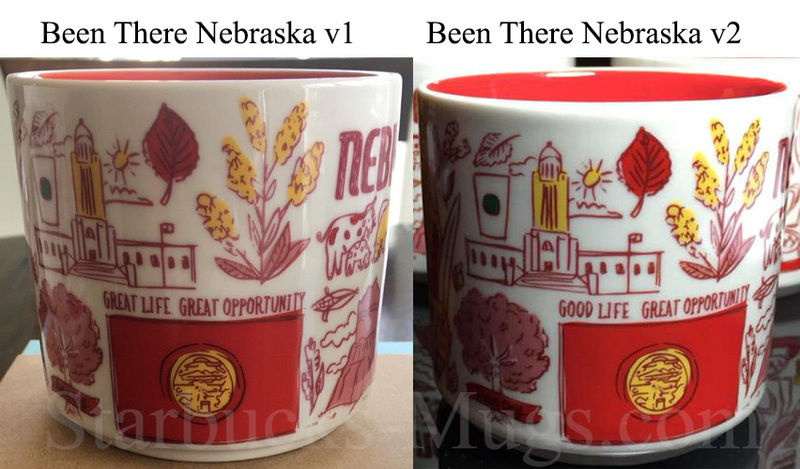 What was revealed today is that Starbucks Been There Nebraska mug has an error in the design. How come it went from idea to store shelves without anyone noticing that? It brings the question whether people responsible for mugs production are competent enough. Sounds harsh, but c’mon people, you don’t expect that from a company as big as Starbucks. On the other side it means that this particular version will become HTF from the get go, as it is being pulled back from stores and a replaced with the corrected one. So here’s my advice: if you live in Nebraska near the Starbucks store, call them and make a visit. I would say it is worth 1h drive too! Good luck. 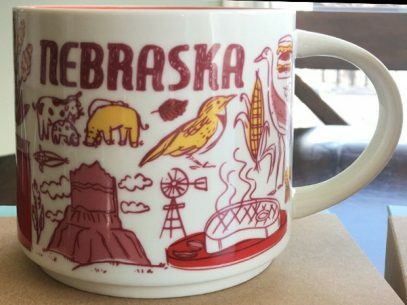 Update: There is also rumor that the bluff on the front of the mug is from the other state, but, my understanding this is Scotts Bluff National Monument, so I would not call this an error. Update #2: Another rumor says that 7 other states have misprints. This is hard to believe into, but I would keep an eye. Arkansas used to be called The Land Of Opportunity then they switched it to The Natural State. The Bben There Mug says the Wonder State!